1. It is now possible to use the 'Game Recording Mode' for Windows Store apps (UWP). 2. 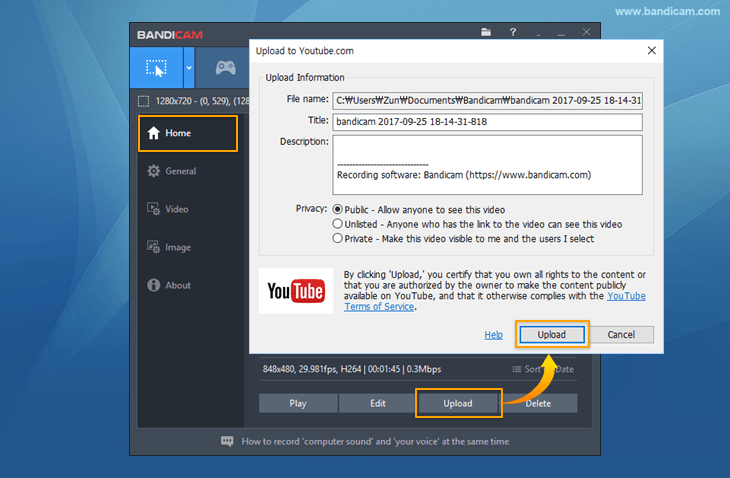 The recorded video can now be uploaded to YouTube directly. (How to upload a video to YouTube.). 3. Added support for H.264 (AMD APP) of AMD Radeon RX series. 4. Improved the hooking stability of DirectX 12 games/programs. 5. Improved the compatibility with AverMedia HD Capture C985 capture card. 6. Improved the update module. 7. Other minor bugs fixed.